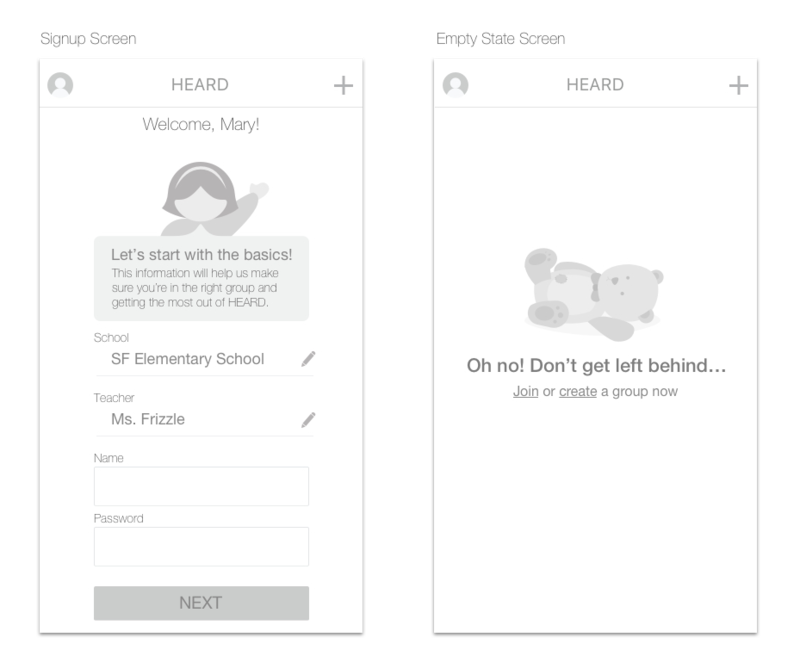 Heard is an app centered around school communication, used by parents, teachers and administrators to keep each other updated about school related issues and events. How can we design an onboarding experience that aligns with both user and business goals, while also accounting for existing and non-exisiting users on both ios and desktop platforms? In order to create a seamless onboarding experience, it was important for us to focus heavily on research and understand pain points surrounding the current app. 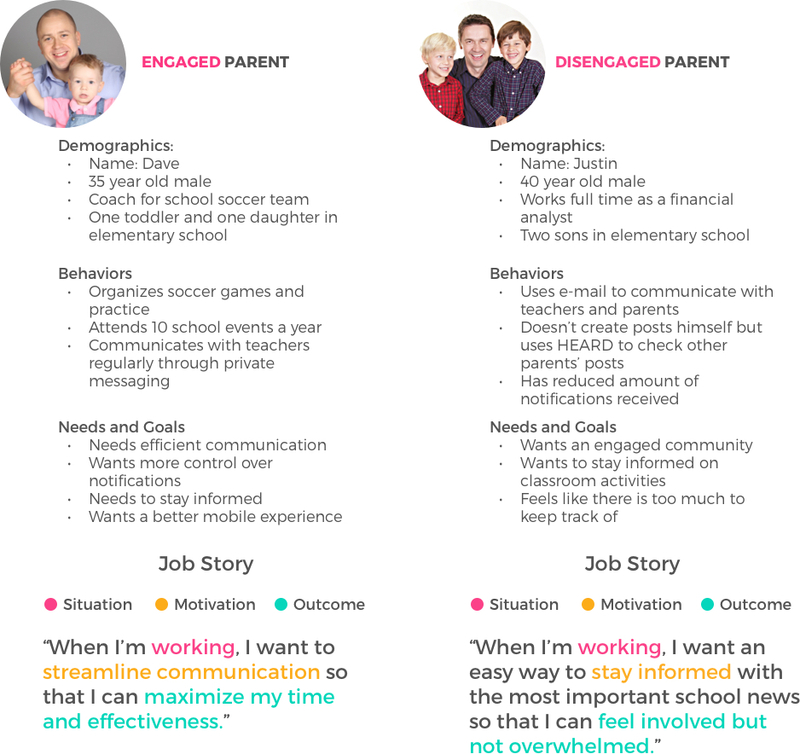 We conducted user interviews with parents and teachers, created personas, affinity and journey maps, and used the Jobs to be Done framework as part of our research process. Even after signing up, parents still did not understand what HEARD was used for. Parents were worried about privacy and found the amount of information requested by HEARD off-putting, especially since it involved their children. Parents questioned HEARD's legitimacy since their school name was absent from the e-mail invitation. Using comments and information we received from the interviews, I created this journey map to illustrate the emotions that the user would feel during the current onboarding process of the HEARD app. This allowed us to visually see opportunities for improvement. 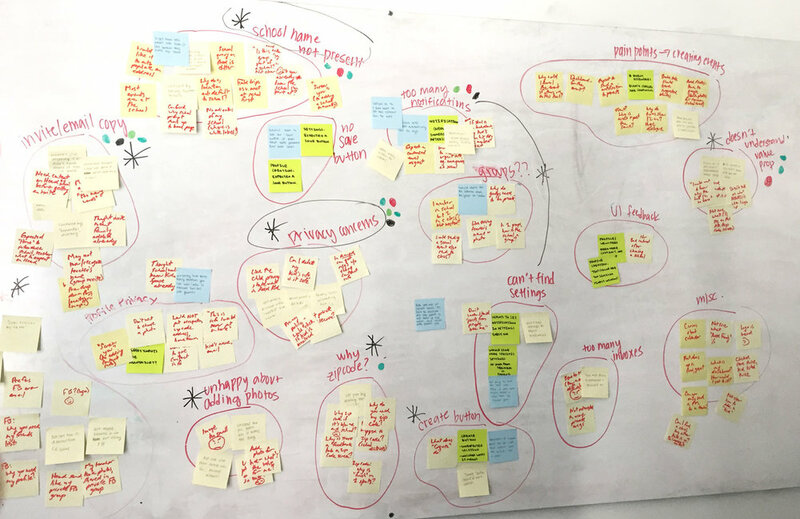 Main takeaways from this journey map was that we needed to build trust and make sure users understood the unique value proposition early on. Also, privacy and amount of notifications were a point of frustration for many users. With the information gathered from our research, we had a better sense of what concerns parents had when using HEARD. With this in mind, we created a set of design principles to adhere to for the rest of our decision making process. How many users need this function? How often do users use this function? Through this analysis, we determined that the main priorities to focus on would be the actions that fell on the two right columns of the chart. 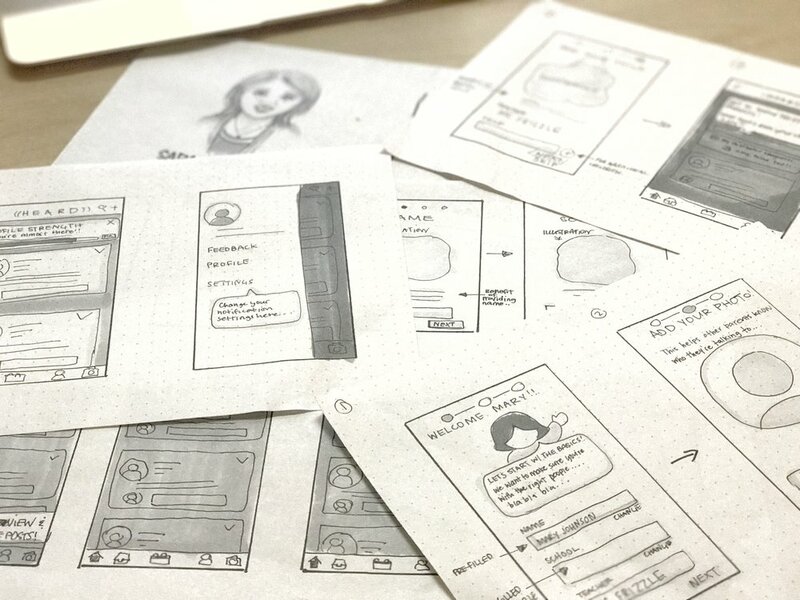 After consolidating our research information, we began to sketch out ideas using wireframes while keeping in mind the design principles that we had established. In keeping with our design principles, we felt it was important to explain the benefit of giving the information while also assuring the user that their privacy would be respected. After our first round of usability testing with the lo-fi prototype, we uncovered several areas that needed to be improved. Sharetea, 13343 N Hwy 183 Suite 275, Austin, TX 78750, U.S.